OH MY GOD !!! I can't believe I missed Tommy's birthday. The penalty for this oversight should be DEATH !!! Happy birthday my dear friend. You're aging like a fine wine, only getting better with time. H a p p y B i r t h d a y T o m m y!!! Sweet 16 and never been kissed.... Wishing you a Happy, Healthy, year ahead! Very good of you to remember Frank's birthday today. Thanks for that. Yes, two years on and he's still missed and loved. Only Frank would see fit to check out on his birthday. I paid a visit to his resting place on Sunday as I wouldn't be able to get there today. It's hard to put into words how much he's meant to so many people. The loss is still palpable and I know if he heard me say that, he'd pooh pooh it. But it is. He is and will always be one of the greatest people I've ever had in my life. That's right, Frank...I said GREATEST. That's YOU! While we remember the loss today, you're right Dale. We also say, Happy Birthday, Frank! AGAIN? ? Don't worry Tommy, I'm not going to let today sneak by that easily......This may be late in the day, but it's not too late to say HAPPY BIRTHDAY TOMMY! Still out there charming the pants off 'em I bet! Wishing you another Happy and Healthy year ahead my friend. Never got on the computer yesterday, but I did remember and think about it being Frank's (Burner) birthday. I still have tremendous respect for the man though he is several years gone now. He would be going BONKERS in light of the current political climate! Hope you're resting in peace Frank and laughing at the rest of us! Thanks for remembering our good friend. 3 years and it still hurts. Yesterday I took a long ride up to visit him. Couldn't get there on the 1st. I know he was toying with me from the other side. My GPS has been pretty set as to the directions to the cemetery. But yesterday I ended up going through a wacky backstreet route that I was totally unfamiliar with. But I got there and spent some time visiting and thanking Frank for screwing up my route. Well played, Frank! He is missed every single day. Thanks for keeping Frank in your (and our) thoughts. I know I appreciate it. Here's hoping you are healthy, wealthy and getting more than you can keep up with! So when are you going to come to Florida to sweat your nuts off instead of freeze your nuts off up there in NY? Thanks, Dale! I notice you didn't include the word, "wise". Well played! Another year older....yikes! I'm healthy...(even though I just had some surgery...I'm fine! )....wealthy.....I don't know about that one! Wise....uh-uh...otherwise I'd be walking on a beach right now instead of waiting for yet another Nor'Easter! Anyway...I'm still here...we're all still here....And we aim to keep it that way! Right?? RIGHT!! 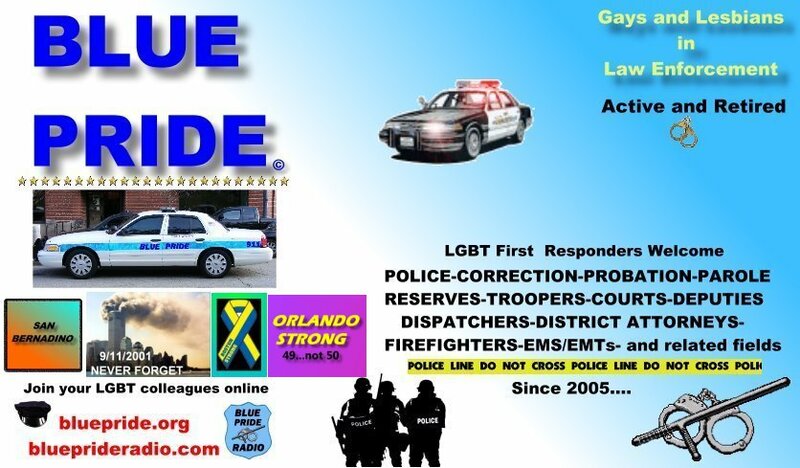 Just another yearly reminder about the birth date and death date (Nov. 1) of a BluePride member we lost several years ago now, Frank "Burner" Merlino. Though I only met him personally a few times, we also communicated through this site and his own email address. He was straightforward and opinionated, but was sincere and not mean-spirited in any interactions I observed. Many people today would do well to follow examples he demonstrated. I'm sure he had his flaws, but I just never had the opportunity to observe them. I hope he is at peace, though I am sure he has been doing some rolling in his grave over the state of politics today. You're awesome to remember Frank every year. He's been in my mind so strong over the last few days. He's never forgotten. I pretty much spent the whole day yesterday thinking about him. My plans at this point have me driving up to Connecticut on Sunday to pay a visit. (Traffic during the week would be a horror show!) The loss is still palpable to me. If he had any flaws at all, it would be that sometimes he was too good to people who probably deserved less. Nobody is perfect but in my mind, he came pretty close. I just keep thinking how it's been such an honor to have even been a part of his life. They don't make people like him anymore. Belated Birthday wishes to our #1, Admin/Bluepride. Happy Birthday Tommy! And many more to come!